I love this tablecloth. I have them in several designs and sizes. They fit the table snuggly and never slip and are easy to clean. Friends ask where I found that neat tablecloth. I always recommend Miles Kimball to them. Perfect solution for glass top screen room snack table! Cheerful and easy to keep. Fits great. 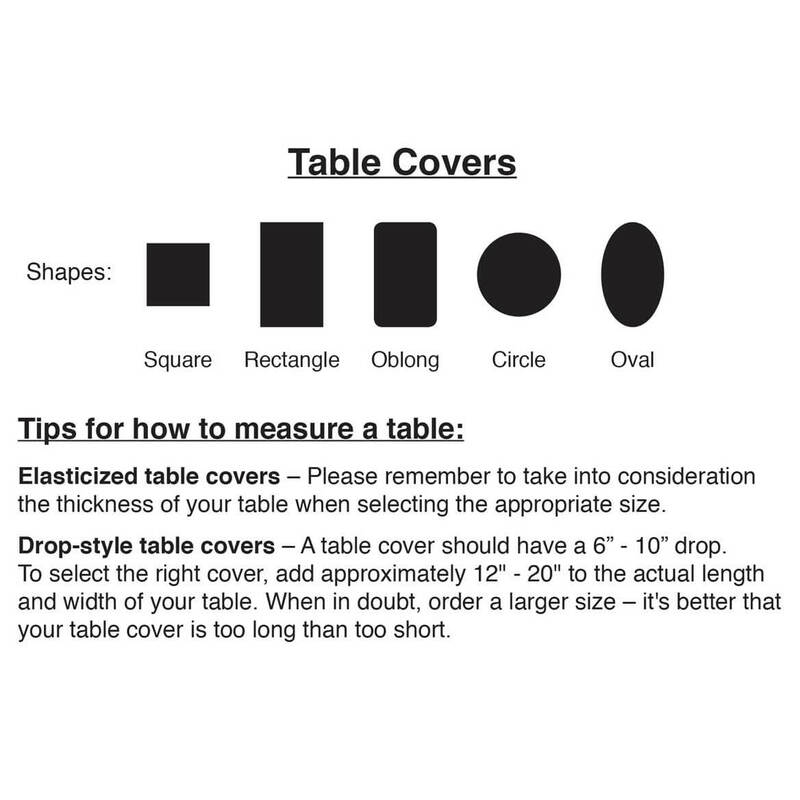 Needed table covers at an affordable price. These were on sale. I use vinyl tablecloths quite a lot. I have cats that love to get on the table. I use a disinfecant wipe before dinner. It works great on vinyl. I order this table cover often. I like this one for this time of year as we are picking our apple trees. 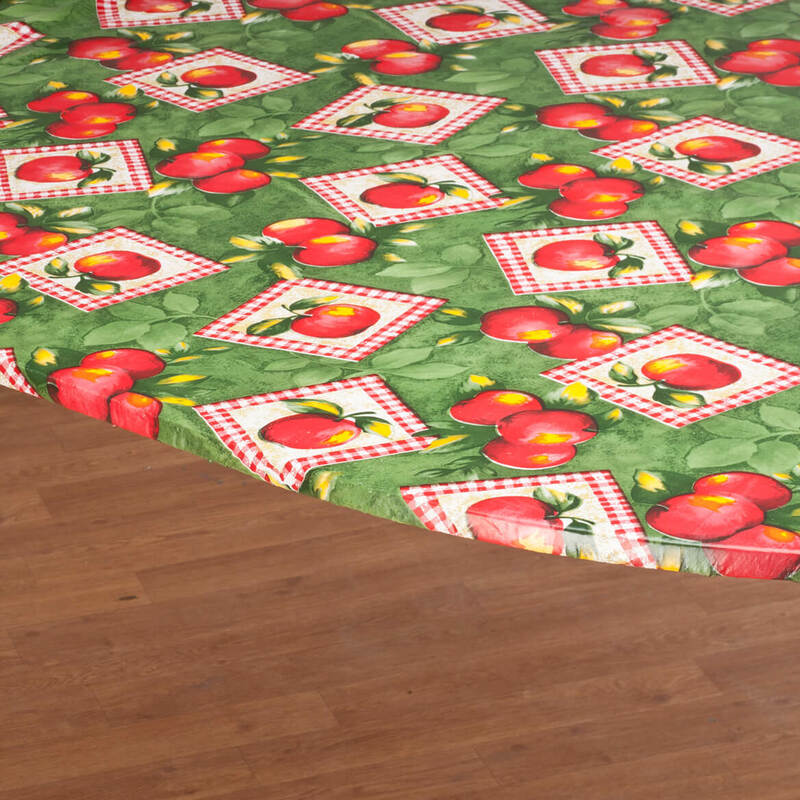 I have been buying these elasticized tablecloths for years. Love them. Have been looking for a fall themed one. Would like to have one with fall leaves but this apple patch is a nice substitute. I ordered this product before and it was great. This was my second choice. The one I wanted wasn't in stock. Apple pattern will go well with my kitchen. The colors were so bright when I was strolling. They immediately caught my eye. I also noticed this is a new item, and I think apples will give my kitchen a nice country setting. do not slide when wiping off the table. 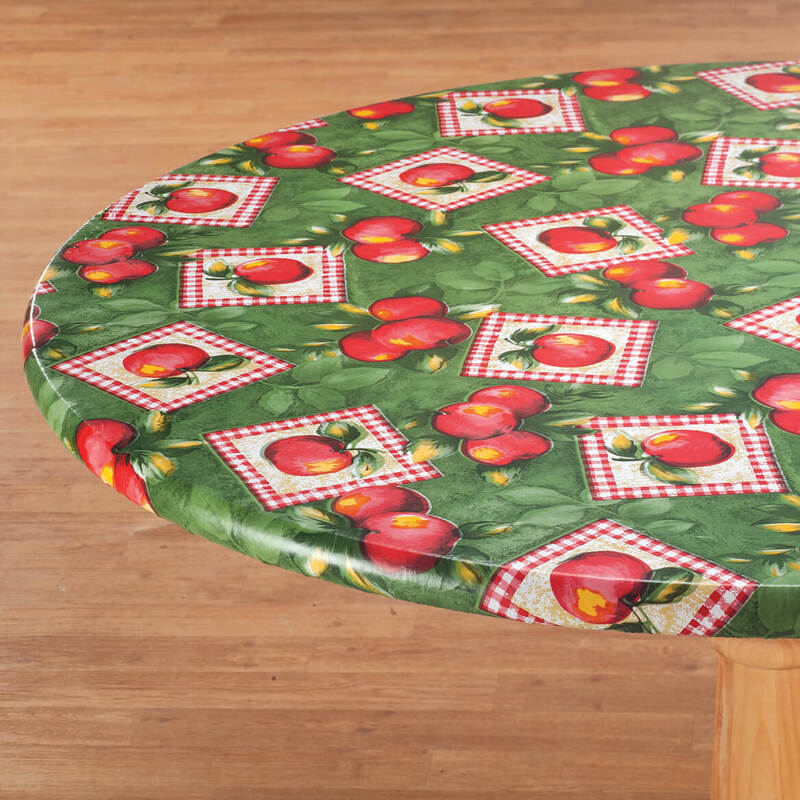 This cute fitted apple patch table cover caught my eye. It will be perfect in my eat-in kitchen. It will look really nice in my apple themed kitchen. 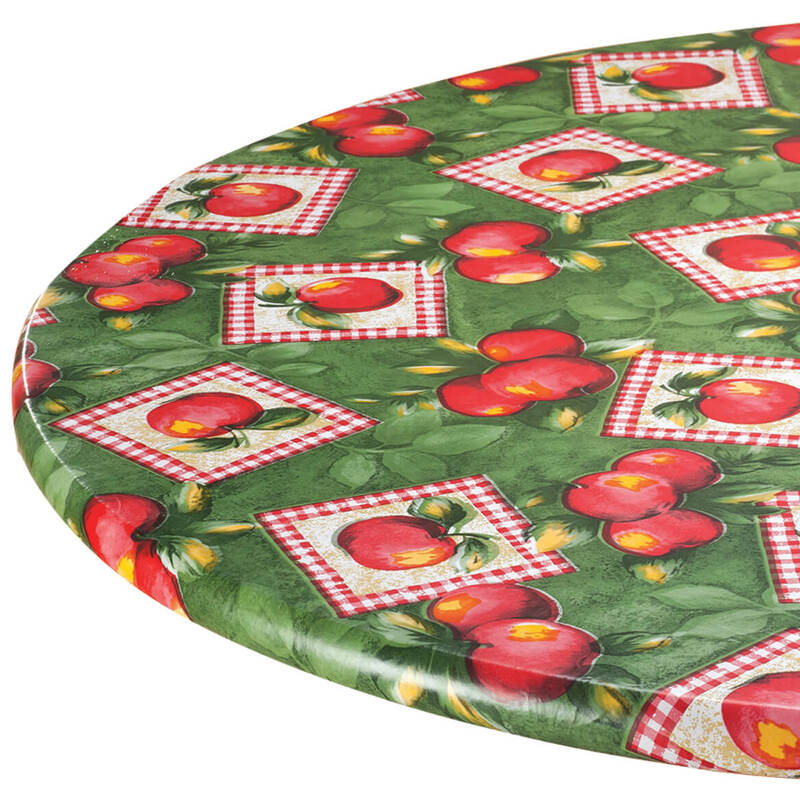 I chose this because t is elasticized and the apple pattern is rather an autumn theme. Goes with my Apple theme for the fall. I have an "apple kitchen" this will be just perfect with my kitchen decor. This is one pattern I have never ordered, liked the change in pattern. I love the bright color of apples in my kitchen setting. It makes me feel good to entertain guests and family with this design. In addition, I like the elasticized fit and feel knowing it won't slip and slide. My kitchen decor is Apples.